Yesterday I was fortunate enough to not only attend the London VMware user Group but actually present . The day started pretty early and due to traffic I arrived half an hour late to the welcome and introduction from Alaric Davies so snuck into the back to not disturb and t allow me to have one or two last read through’s of my session at the end of the day. Next was Chris Kranz and Alex Smith presenting a session titled “would you like fries with your VM?” the session was a really great one as the guys spoke about how the landscape for IT professionals is constantly changing and how a normal server administrator was replaced quite largely by virtualisation and advancements in automation and with every release of the vSphere suite of products more and more work is being taken away from storage admins and network admins and now with cloud picking up the virtualisation admins are having to adapt or lose their roles. A very chilling reminder that if you don’t adapt in IT sooner or later you’ll be out of a job. There was then a break where I got to meet a soon to start recruitment for Xtravirt Sean Duffy and chat about South Africa a bit with him being a Saffa too I also talked shop with Alan Renouf, Steve Chambers, Simon Davies, Ed Grigson, Jeremy Bowman and Harry Potter look alike Jonathan Medd. The next session I attended was the VMware View session titled “End User Computing: Today & Tomorrow” by Clive Wenman from VMware. Sadly due to connection speeds he wasn’t able to do the demo he wanted but instead gave us a good overview of the new features in VMware View 5 and ThinApp 5. We then got talking about Horizon Manager and got a nice impromptu demo of the product and how it works which was highly interesting to me and looks to be a very good product once it’s released outside the US. Next was Dave Hill and Aidan Dalgleish presenting largely what Dave and Chris Collotti presented at the VMworld last year titled “Private vCloud Architecture Deep Dive”. I found this highly interesting as it was something I had hoped to attend at VMworld Europe but unfortunately due to the times they did them I was unable to attend. The session was highly interesting and gave loads of reference architectures and all the varying network pool methods and what each will enable you to do. I think the main recommendation from Dave that I think everyone needs to remember is that you need to build your vSphere environment correctly or else you vCloud environment won’t work like it should. Now was the time of reckoning, my session was due and a number of people I chat to on twitter had made sure they were in the front row to heckle me and ask me loads of questions too. 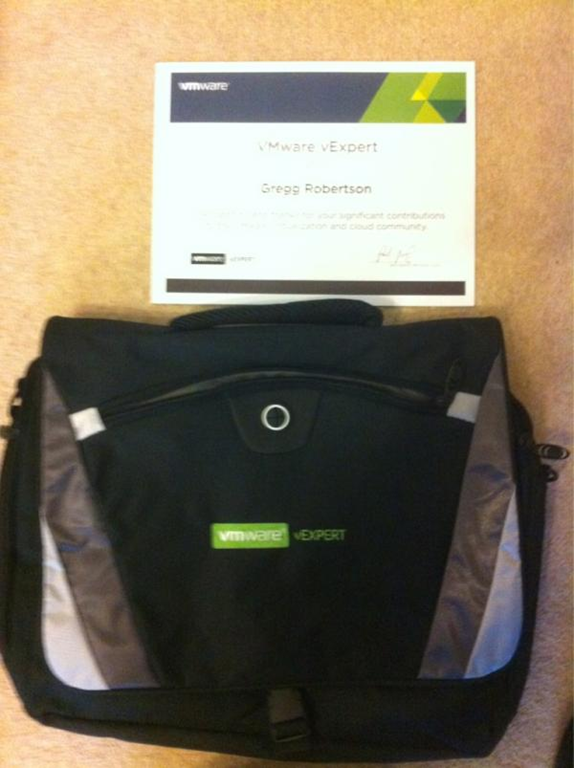 I was due to co-host the session with Scott Vessey from Global knowledge and of vmwaretraining.blogspot.com fame. 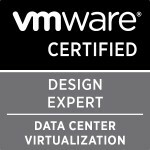 My presentation was half around my VCP5 study resources page and all the resources mentioned on there that I used in my preparations for the VCP5 exam and how they helped me pass the exam and then a whole bunch of sample questions from Global Knowledge’s VCP5 Exam Preparation Workshop. Even though I started off quite nervous I think it went well and once we got to the sample questions at the end there were loads of discussions around the answers with some of the questions getting people calling out all the answers as correct even though there was actually only one correct answer. Quite few people said they enjoyed it and I think I put the fear into a large portion of the people in the audience after the sample questions and those knowing that have 31 days until the waiver period for VCP4 holders not needing to do the What’s New course to pass expires. Categories: Social, Virtualisation | Tags: london VMUG, LonVMUG, NimbleStorage, vBeers, vCloud Director, VCP5, VMUG, VMware | Permalink. If you haven’t registered I would highly recommend you do so ASAP as these are more often than not fully booked a week or two before the event. You can register for the event here and hopefully I’ll get to meet you there. After the VMUG the standard vBeers will take place. If you’ve somehow never heard of vBeers before the below is just for you . Categories: Certifications, Social, Virtualisation | Tags: london VMUG, LonVMUG, SaffaGeek, vBeers, VCP, VCP5, VMUG, vSphere 5 | Permalink. Yet again (I’m not sure why I keep doing this) I decided to get up early and into the conference so i could get my Day 2 blog posting out and be awake enough for Paul Maritz’s keynote. A number of my fellow LonVMUG colleagues also made their way in early and we ended up watching the keynote from the food hall on the big screen. I decided against trying to cover the keynote and give my opinions as seeing as a large portion of it was customers talking about their experiences with VMware technology and then Paul’s chat was exactly what was said at VMworld US. Therefore, i would recommend watching the keynote here and if you missed Steve Herrod’s or Raghu Raghuram’s from Tuesday and Wednesday respectively then you can watch them. After the session, i had some lunch and hung out at the bloggers lounge and even almost got onto one of the vSoup videos but instead decided to watch from a far and was mentioned by the guys on it here. I still say if they don’t announce the band, it is only right to make wild speculations of who the band will be . After chatting to a number of the bloggers and vExpert’s I made my way to the airport and after my flight being delayed by two hours and the pilot having to abort our landing at the last second i made it back to the UK after a very successful and tiring VMworld Europe 2011. Categories: Social, Virtualisation | Tags: keynote, LonVMUG, vExpert, VMworld, VMworld 2011, VMworld 2011 Sessions, VMworld copenhagen, vSoup | Permalink. Just a very quick All Things Virtual as I haven’t been able to read as many blogs as I had wanted due to work commitments and the studying for my VCAP-DCA taking up a large portion of my time. Talking of VMworld the Session catalogues for VMworld US and VMworld Europe have been posted. There’s a number of very exciting sessions happening and it’s great to personally see so many people I know form the London VMUG and via twitter whose sessions have made it after the public voting. If you’ve never heard of VMworld or have never been before I blogged about each of the days happenings when i went to my first one last year if you’re interested in getting any idea of what an average day at the conference is like All Things VMworld Day 1, Day 2 and Day 3. 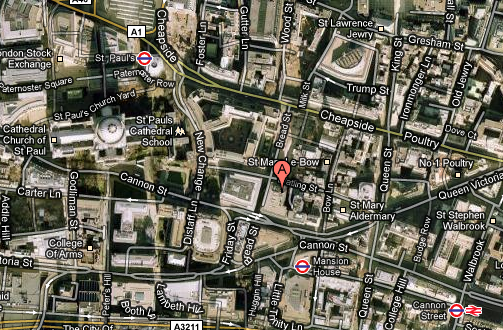 The next London VMware User Group has been announced for the 14th of July. Unfortunately I will be away on holiday over this time but as I’ve stated many times in a number of blog postings on this blog the VMUG’s are an awesome day out and the amount you learn from the sessions and from fellow attendees is well worth your time. I was able to attend the last one on the 12th of May and wrote up a blog posting about the day if you want to get an idea of what happens during the day. 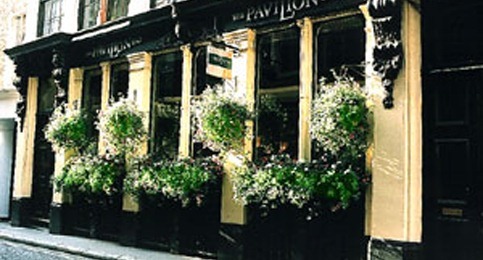 If you are likely to be around the London area on the 14th of July I would highly recommend registering on the VMUG site and attending. Categories: EMC, VCAP, Virtualisation | Tags: london VMUG, LonVMUG, Trainsignal, VCAP, VCAP-DCA, VCAP-DCD, Virtualisation, virtualization, VMworld 2011, VMworld copenhagen | Permalink.